The teaser trailer of Salman Khan's big Eid release, Sultan, was released on the official Yash Raj Films YouTube channel at 12 noon on 12 April. And within 24 hours, the film has managed to record a whopping 3.1 million views. The teaser has now garnered the second highest YouTube views in under 24 hours for a Bollywood film, coming in at a close second after the Shah Rukh Khan-Kajol Christmas 2015 release, Dilwale, which garnered 3.6 million views in just one day. The teaser of Sultan, which introduces Salman's character of Haryanvi wrestler Sultan Ali Khan, has been met with positive response from trade and viewers alike. Salman is known to slip into the shoes of varied characters with absolute ease and the role of Sultan Ali Khan seems to have been tailor-made for him. 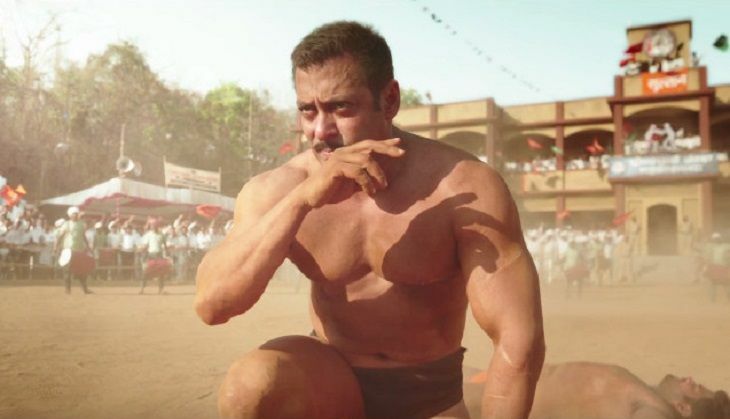 Also Read: Watch YRF's Sultan teaser: Salman Khan who? We're fans of Sultan Ali Khan now! The film, which also Anushka Sharma, Randeep Hooda and Amit Sadh, is set for an Eid 2016 release.